The hilltop neighbourhood of Montmartre, Paris, is one of the city’s most popular tourist spots. But not too long ago it was synonymous with drinking, dancing and debauchery. In the mid-19th century it was just outside Paris’ city limits so was free of the city’s taxes and controls and evolved into a bohemian, artistic enclave. 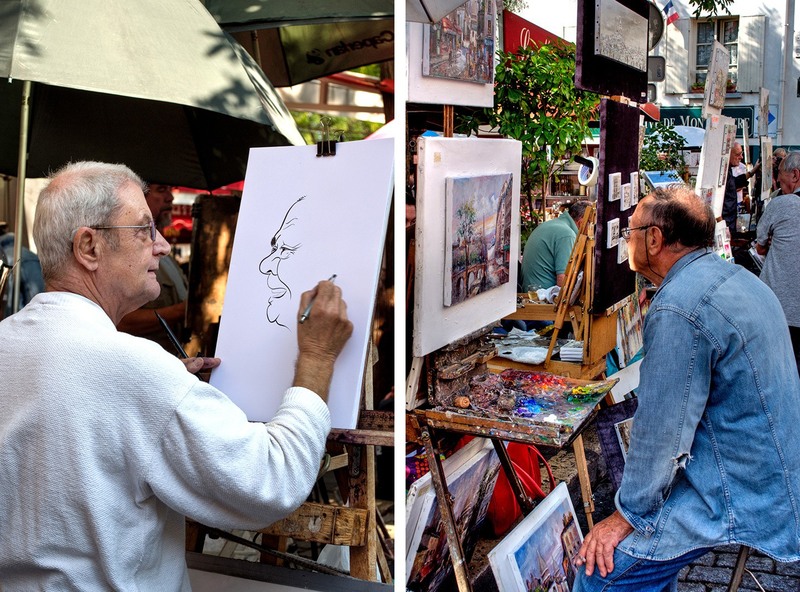 The artists you’ll see now are more likely to be caricaturists and painters capturing tourists in the Place du Thetre than Impressionists drinking absinthe in their atelier. 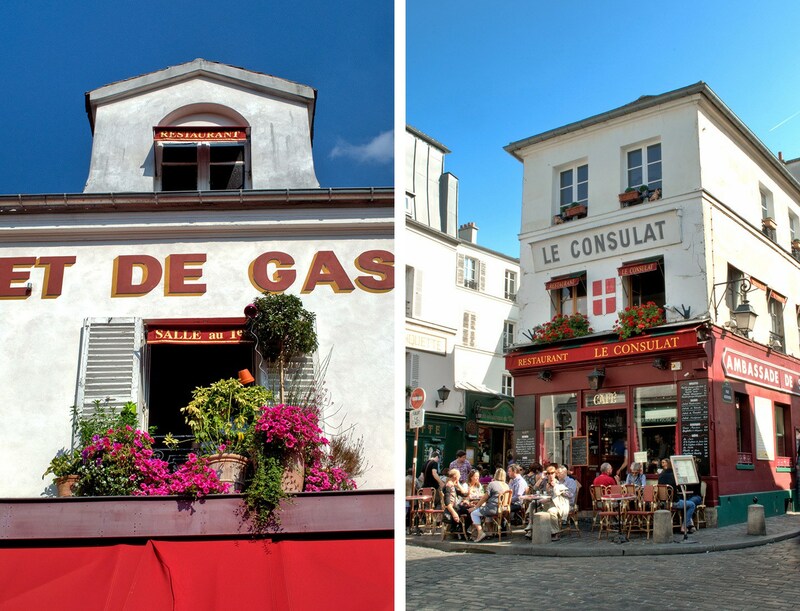 But Montmartre still trades on its arty, edgy reputation, and this self-guided walking route takes you through the area’s historic and artistic highlights. Start your Montmartre walking tour at Blanche Metro station (line 2) then walk up Rue Lepic. If you’ve seen the film Amélie then you’ll recognise a few of the shops as you walk along this street, including the Café des Deux Moulins where Amélie worked as a waitress. The tobacco counter that featured in the film might not be there any more, but the café still has that classic Parisian bistro feel with dark woodwork and zinc counters, as well as a poster of Amélie on the wall. They also do a mean crème brûlée if you’re in need of a sugar hit. At the end of Rue Lepic, turn right down the Rue des Abbesses then left along Rue Ravignan to Place Émile Goudeau. This square was at the heart of Montmartre’s art scene in 1889 as the home of the Bateau-Lavoir artists’ commune. The building was dark and dirty, and so unstable it creaked and swayed on stormy days like the laundry boats on the Seine that gave it its name. But the Bateau-Lavoir was also was a hotbed of talent. Artists like Picasso, Matisse and Modigliani passed through its doors as well as composers, writers, actors and art dealers. They started moving out after the First World War and most of the original Bateau-Lavoir building was destroyed in a fire in 1970, but you can see its frontage at 13 Rue Ravignan. Next take a left up Rue d’Orchampt to the Moulin de la Galette. Montmartre’s 17th-century windmills originally ground grains to make bread. But later they were turned into cafés and dance halls where you could socialise with a glass of wine and bread from the mill. The parties at the Moulin de la Galette were a favourite with local artists. 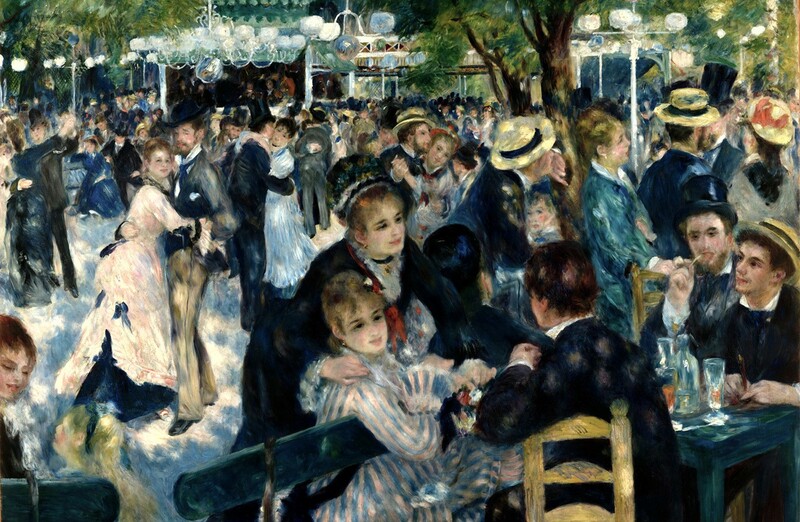 Renoir’s painting ‘Dance at the Moulin de la Gallette’ is on show in the Musee d’Orsay and another version sold for $78 million – making it one of the world’s most expensive paintings. The original Moulin de la Galette is a private property now so you can’t go inside, but there’s a nearby restaurant with the same name under another of the windmills called the Moulin Radet. Next walk up Rue Girardon to Place Dalida – which is named after an Egyptian-born singer who became a huge star in France during the 1960s. Dalida sold millions of records but faced a lot of tragedy. She eventually killed herself with an overdose in 1987 at her house in Montmartre and is buried in the cemetery nearby. Dalida is still a cultural icon in France with films, documentaries and over 50 biographies written about her. Next head right down Rue de l’Aubreuvoir and you’ll see Paris’ only remaining vineyard. Vines have been grown in Montmartre since the Romans when there was a temple here dedicated to Bacchus, the god of wine. Most land was sold off for development, but 1500m² of vines were saved by a group of artists in the 1920s. The Clos de Montmartre vineyard now produces 1500 half-litre bottles of wine each year which are auctioned for charity. They’re not exactly France’s finest vintage, but get snapped up for the novelty value. You can visit the vineyard during the annual Fête des Vendanges (harvest festival), a five-day street party each October. 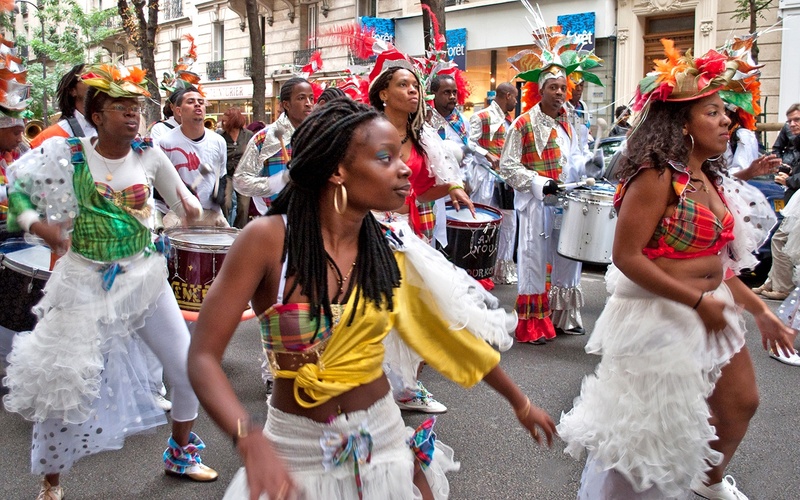 It celebrates French food and wine with stalls, parades and fireworks. Head south down Rue des Saules and left along Rue Norvins past the pretty Le Consultat café to the Place du Tetre. 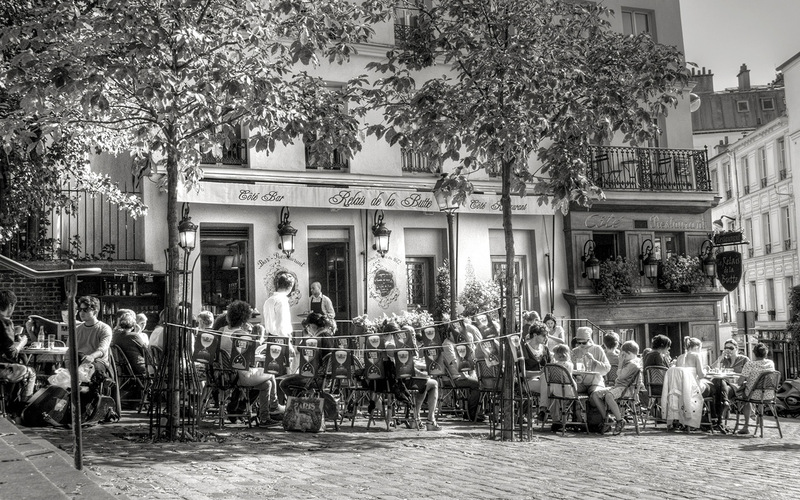 Montmartre’s best-known square is one of the most visited places in Paris. The Place du Tetres ia hub for artists, and you can wander around and watch them in action painting Parisian street scenes, portraits, caricatures and silhouettes. Competition for a spot in square is so fierce that there’s a 10-year waiting list. Each artist only gets a tiny space of three square feet to work in and you don’t even get it to yourself – each spot has to be shared between two different artists who get to use it on alternate days. Leaving the Place du Tetre behind you, follow Rue Azais along the edge of the park to Sacré-Cœur Basilica. 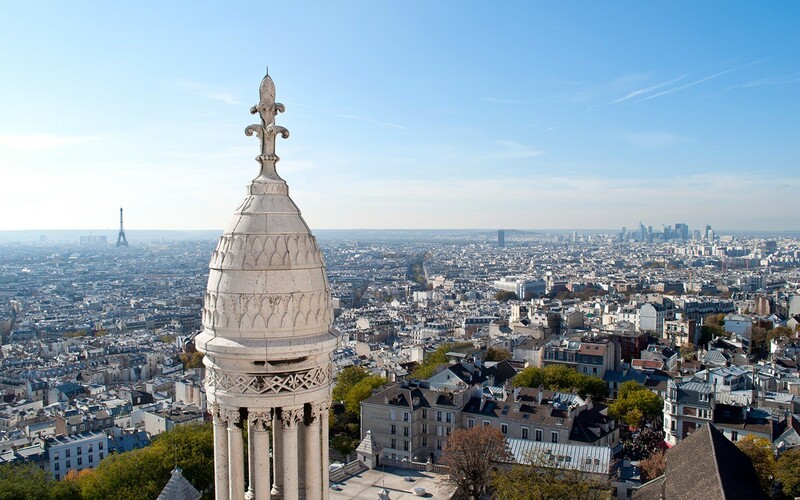 From up here you can see Paris stretchinh way out in front of you – and you can climb up the 300 spiralling stairs to the top of the basilica’s tower for an even higher view. Sacré-Cœur was built between 1876 and 1912 to honour the victims of the Franco-Prussian war, using travertine limestone that’s designed to get whiter as it ages. It’s a real mix of architectural styles which was a bit controversial at the time – some people described it like a gaudy giant wedding cake – but it’s grown on Parisians as time’s gone by. Inside is a huge golden mosaic of ‘Christ in Majesty’ behind the alter and a crypt which allegedly contains Christ’s heart. Walk down the lawn in front of Sacré-Cœur, which is packed full of sunbathers, picnickers and street performers on sunny days. Then turn right at the bottom of the hill into Rue Tardieu and follow the road as far as Abbesses metro station. 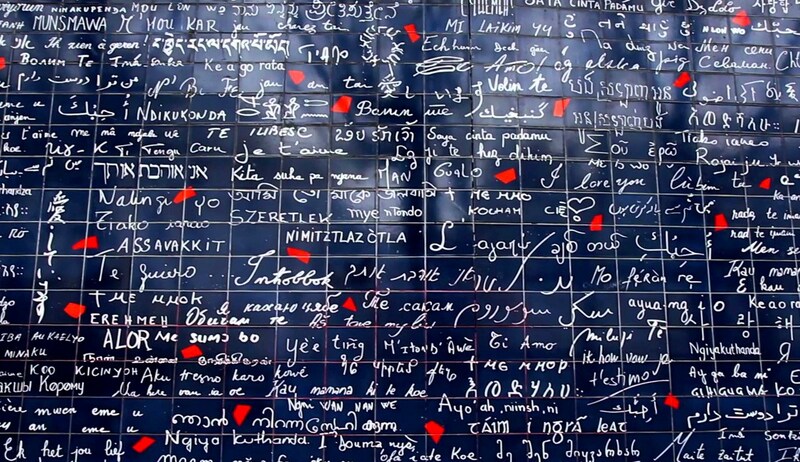 Just behind the station entrance you’ll find Square Jehan Rictus and Le mur des je t’aime (Wall of Love). The wall’s made up of 612 tiles with ‘I love you’ written in 250 languages and is a favourite selfie spot for loved-up couples and honeymooners. From there you can catch the Metro on around Paris or find a café to finish off your walk with a coffee or glass of wine. 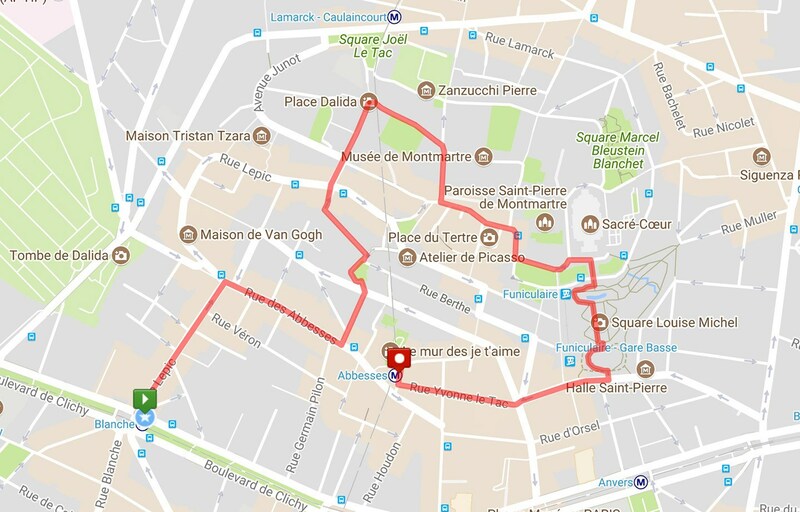 If you’d like to do this Montmartre walk yourself, click on the map below to download a route map and directions. 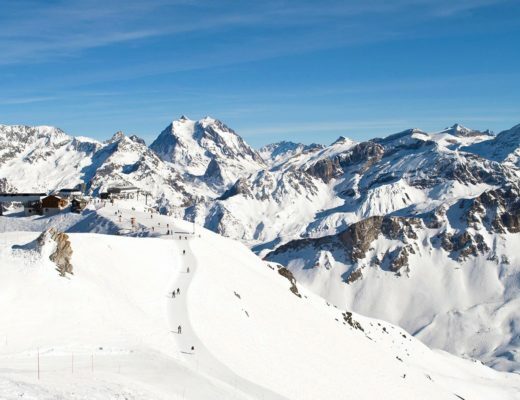 It’s just under 2.5km and will take you a couple of hours, including stops. I am going to Paris n May! This will help. Thanks. 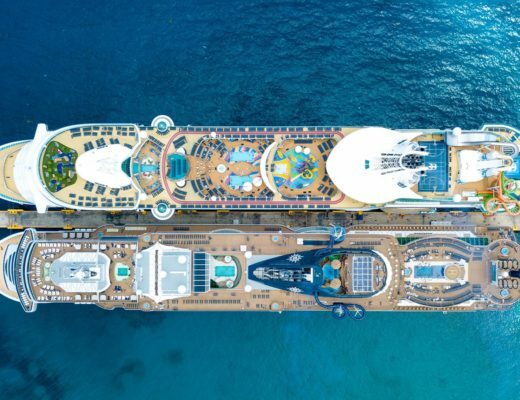 Ooh hope you have a wonderful time! Thanks – glad it was useful and hope you enjoy it! My memory of Montmartre includes having crepes not far from the basilica and the uphill walk. It was mostly cloudy when I went to Paris back in summer 2007. 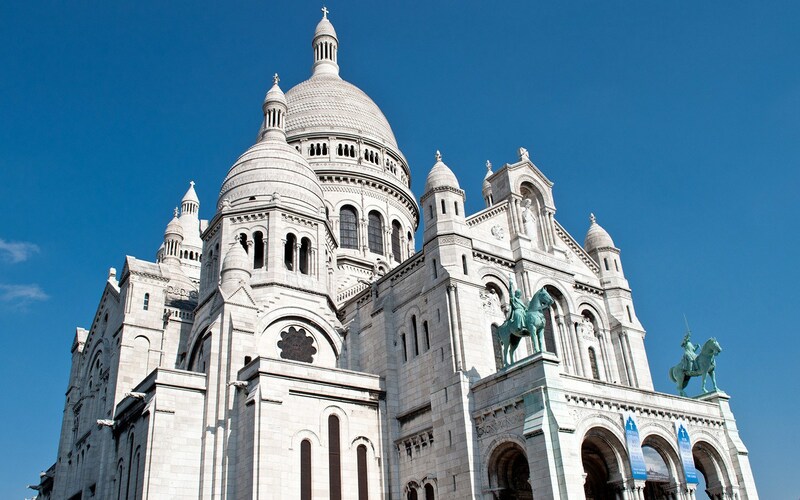 So to see how pretty Sacré-Cœur Basilica looks on a sunny day in this post is a real treat. You can’t have a trip to Paris without a crepe! This area is so lovely in the summer, there’s always so much going on. Good ideas here, I love just following our noses around in Montmartre, stopping for coffee, or vin chaud in one of the road side cafes. One of the best suppers we’ve had in France was hidden down a backstreet away from the main tourist spots. A village in the city! Love exploring those little side streets too – you never know what you might find! I feel like if I looked up the word ‘Paris’ having never been these photos would tell me everything I needed to know – so quintessentially French and beautiful! Montmartre really is peak Paris! I’m heading back to Paris some time soon so I’m definitely going to take this walking tour. I love the Montmartre area and last time I was there about 15 years ago (!) we went into Amelie’s cafe as Amelie is one of my favourite films. My have to watch again if it snows on Thursday! Love Amelie too, such a lovely film, perfect for a snow day by the fire! How great that you’ve included a map in your self guided walk of Montmartre. Makes your whole guide super useful and I will bookmark for my next trip to Paris. Especially love the Wall of Love! Thanks, hope it comes in handy! I’ve walked many of these streets in the past but it sounds like I missed so much. I love the film Amelie, for instance, but had no idea where it was filmed. I need to go back with a copy of this article. As Audrey Hepburn reputedly said ‘Paris is always a good idea’. It certainly is! Apart from an unscheduled (and slightly wet) day there in Jan I’ve not been back for far too long so a return trip is definitely needed soon. This is great it looks beautiful, I would love to go to Paris! It’s such a wonderful city! Lucy this is my absolute favourite place in Paris and for me, this is the real Paris. 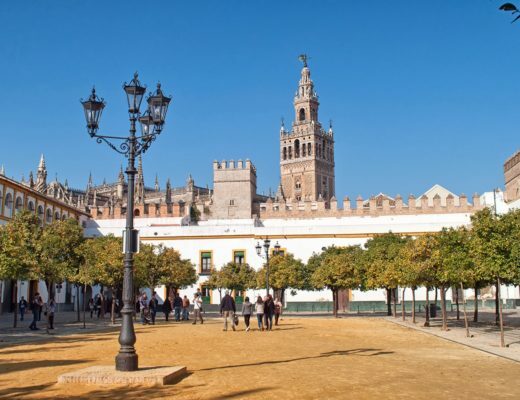 A walking tour of the area is the best way to see and experience what the area has to offer. It’s such a unique area – I can’t stop myself going back, and so many pretty side streets to explore! Thanks for this great walking tour, Lucy !! Loved the tips, the map, and actually learned a lot from your historical tidbits. Very interesting !! Thanks, it’s such an interesting neighbourhood – so many stories from over the years. Me and my missue are going there this weekend will defo use your map. What other areas are good to visit? 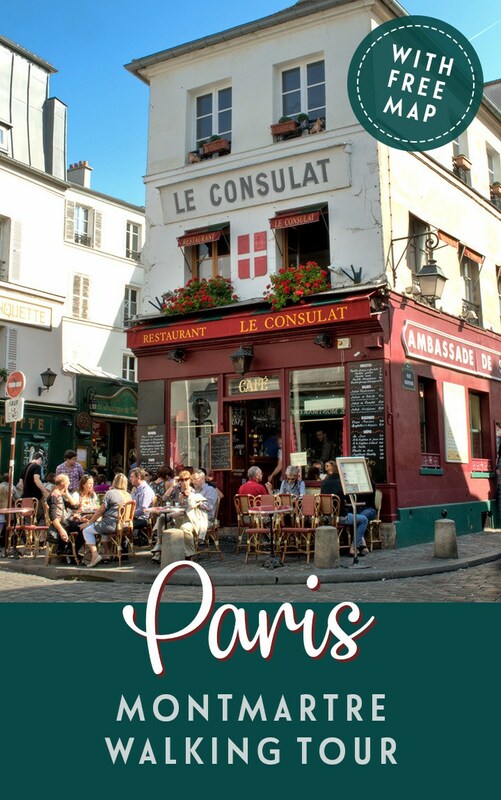 Hi, I also love the St Germain area and the walk along the Seine is lovely – the Marais is a great neighbourhood too with lots of places to eat and drink.